saxon Australia dedication to fine optical instruments manifests in its delivery of high definition binoculars. Take in the sights of the world with a pair of saxon binoculars. Whether you’re trekking outdoors, enjoying a sunny day out on the yacht or travelling around the world, saxon has the perfect pair of binoculars that fits your purpose. Featuring quality optics in a sturdy body, you’ll enjoy sharp and bright images with these binoculars. Compact and lightweight, the saxon 8x21 Compact Binoculars are the perfect combination of functionality and portability. 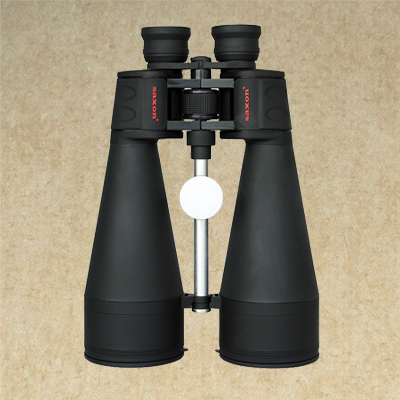 This rubber-armoured pair of binoculars comes with 8x magnification, central-focus and multi-coated lens. 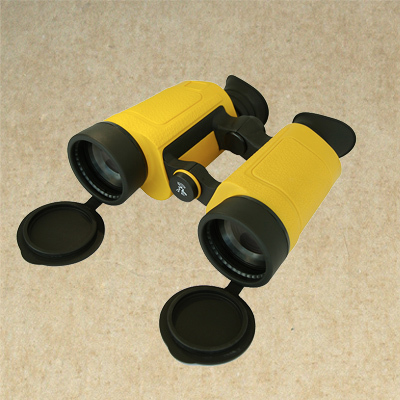 Easy to use and convenient to bring along on your travels, these binoculars are suitable for observers of all ages. The foldable and lightweight saxon 8x21 DCF Compact Binoculars make viewing a breeze. This pair of roof prism binoculars comes with 8x magnification, central focus and ruby-coated lens which helps reduce glare from the sun. These binoculars are suitable for general observation. View images more comfortably with the saxon 10x25 DCF Compact Binoculars. The ruby-coated lenses help reduce glare and filter out reds, while the central focus knob takes the guesswork out of creating crisp, clear images. With a rubber enforced design, these binoculars are perfect for all your outdoor activities and adventures. The saxon 10x25 Grandview Binoculars make a great addition to your knapsack when you go on nature walks. An included case helps protect your binoculars while the neck strap keeps them close at hand, making sure you never miss nature in action. 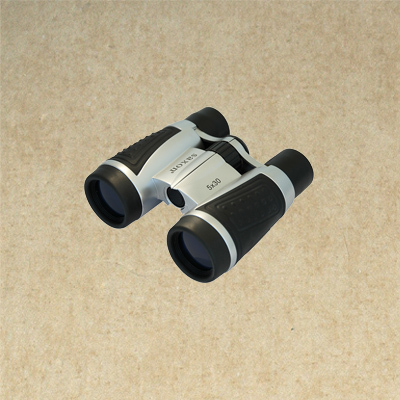 Finished in a classic champagne coating, these binoculars make a handsome gift. If you want a pair of versatile binoculars at an affordable price tag, you'll appreciate the saxon 10x25 Compact Binoculars. This durable pair of rubber-armoured binoculars comes with a magnification of 10x and multi-coated optics to provide bright, clear images. Lightweight and compact, these binoculars are great to use both indoors and outdoors. Never lose sight of the action again with the saxon 8x21 Focus Free Binoculars. These 8x magnification binoculars can easily track rapid-moving activities without the need to constantly focus. The durable rubber casing makes these binoculars an ideal accessory for concerts and sporting events. Stylish, compact and lightweight - it's got to be the saxon 8x21 Grandview Binoculars. These easy to grip binoculars come in 8x magnification, with ruby-coated lens and are finished with a silver coating and rubber-cased trim. These versatile binoculars are good to use for general observation or at sporting and indoor events. If you love using binoculars to spot your favourite animal or plant hidden in nature but hate having to constantly focus the lenses, the saxon 10x25 Focus Free Binoculars are here to help! These focus-free binoculars allow you to follow rapidly moving action without focusing. Perfect for watching the races, tennis or general use. Get comfortable with the saxon HikeSmart Binoculars Harness﻿! Reduce the strain on your neck, shoulders, and hands when using your binoculars and keep them close to your chest when not. A must have accessory for anyone serious about their binoculars. Whether you're on the docks or in a boat, use the saxon 7x18 Waterproof Binoculars to help you see far-off islands and exciting marine life. These binoculars feature 7x magnification, 18mm objective lens, a sturdy metal shell and are resistant to water and fog. Use the included flotation strap to prevent your binoculars from sinking if they get dropped overboard. The saxon 12x32 Grandview Binoculars are the perfect companion for the person who loves the outdoors. They feature central focusing, rubber grips and ruby coated lens which help reduce glare in bright light. The champagne finish and smooth black trim make them perfect for both men and women. These high quality binoculars are perfect for travelling, bird watching and many other outdoor activities. Consider these binoculars when you are shopping for the nature lover in your life. Enjoy watching sporting events from far away, even on bright and sunny days using the saxon 16x32 Grandview Binoculars. These binoculars feature ruby-coated lenses to reduce glare, while the compact design makes them easy to transport without taking up valuable space in your bag. They’re available in a champagne finish with sleek black trim, making them a beautiful gift for anyone. The saxon 8x25 Traveller Binoculars is the travel companion you’ve been searching for. Created with the traveller in mind, these 8x magnification and 25mm objective lens binoculars will be your faithful companion through the tallest of mountains and buildings. A must-have for anyone who is seeking to see the world and enjoy every moment of their adventure. Travellers and general observers alike will appreciate the ergonomic and durable saxon 10x25 Traveller Binoculars. Perfect to use indoors and outdoors, this compact, porro prism pair of binoculars comes with fully multi-coated optics and smooth central-focusing. These binoculars are housed in a sturdy, non-slip rubber grip which means it will survive the bumps and knocks from being in your bag or during everyday use. Take in the big picture with the saxon 7x50 Wide Angle Binoculars. The binoculars' twist-up eyecups and large objective lens of 50mm allows you to see clear images more comfortably. Whether you’re watching a game that’s gone into overtime or keeping an eye on herd movement while hunting, these binoculars are perfect for viewing objects for extended periods of time. Sometimes all you want is a pair of standard, reliable binoculars. The saxon 10x50 Wide Angle Binoculars has 10x magnification and offers wide field viewing with its large objective lens of 50mm. Observe and focus on distant objects comfortably; and carry your binoculars with you using the included neck strap and carry case. Catch all of the action no matter where you’re seated when you view the game through the saxon 10x25 Waterproof Binoculars. These water and fogproof binoculars comes with 10x magnification and 25mm objective lens. The compact size makes it a great addition to your outdoor observing activities, especially young birdwatchers and explorers. 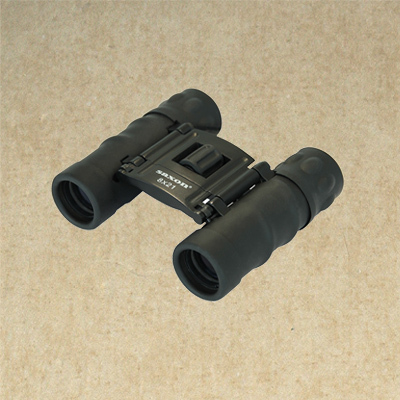 The included neck strap ensures your binoculars are always close by whenever you need them. 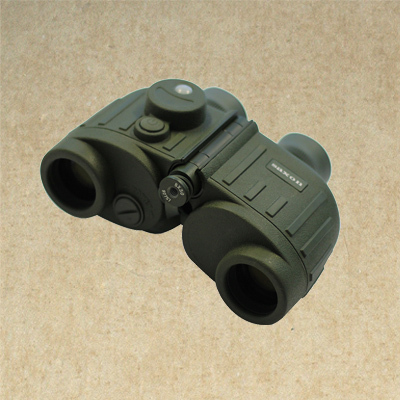 The saxon 10x50 Focus Free Binoculars are designed to assist with viewing fast-moving objects. These 10x magnification, 50mm objective lens binoculars promise clear views without the need to constantly refocus on your object when it moves. Use them at the occasional boat races from shore, or catch the highlights of your favourite sport activity up close. The saxon 8x25 Waterproof Binoculars are perfect for the beginner and expert hiker alike. Whether you love an intense mountain hike or a simple stroll through the park, you can count on these binoculars to provide you the best views. With the waterproof and fogproof features, you can head out into nature no matter what the weather condition. Feel confident with these durable, high quality binoculars and enjoy all that nature has to offer. Satisfy your need for clear, crisp views with the saxon 16x50 Wide Angle Binoculars. These wide-angle binoculars with 16x magnification and 50mm objective lens comes with quality BaK-4 prisms and multi-coated lens to produce knock-out sharp images. Housed in a stylish, streamlined black rubber-coated body, you can expect a comfortable viewing session with these binoculars' long eye-relief, twist up eyecups and large exit lens. 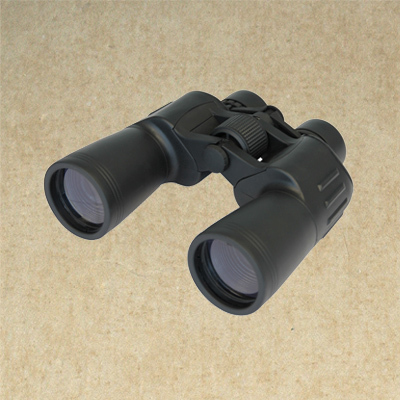 The saxon 20x50 Wide Angle Binoculars combine comfort and durability. The binoculars' 50mm objective lens are high performers in low light and the 20x magnification lets you get up close and personal with your target. Prolonged use is made easy with long eye-relief features and twist up eyecups. The saxon 8x26 Expedition Binoculars is the perfect binoculars for the adventurous soul. This compact, waterproof, 8x magnification binoculars features quality optics, long eye-relief and twist-up eyecups. Get ready for an enriching viewing experience on your travels with these easy-to-use binoculars. The saxon 10x26 Expedition Binoculars are high-quality binoculars that offer crisp clear views without breaking the bank. At 10x magnification and 26mm objective lens, these binoculars are the perfect size to take with you on your next travelling adventure or nature hike. Ideal for bird watching and nature activities, these binoculars makes a great portable companion for travellers. Bring these binoculars on your next big adventure to see even more amazing moments. The lightweight saxon 8x42 Expedition Binoculars make the perfect companion for your travelling or nature adventures. Whether you are catching the skyline of New York City or watching your favourite bird build its nest, these binoculars are the perfect match for you. These waterproof binoculars are ideal no matter the weather and work great in a city or rural environment. Add this product to your list of travelling essentials today and start seeing more when you travel! Don’t let foggy, hazy or wet conditions stop you from using your binoculars. The saxon 9x32 Waterproof Binoculars feature twist-up eyecups, so you don’t have to take your glasses off to spot game. An included case and lens caps help keep your binoculars safe and protected when not in use for added convenience. 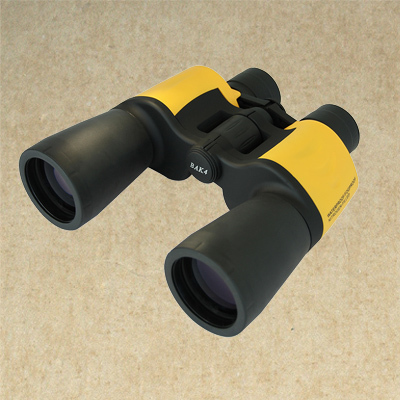 Birding enthusiasts are sure to love the saxon 10x42 Rosella Binoculars. Featuring twist-up eyecups, these waterproof binoculars allow you to focus on objects both near and far. Whether you’re watching a bird in your backyard or looking at a wild herd on a hill, these binoculars will give you a clear view of the wildlife around you. Waterproof and fogproof, this 7x magnification binoculars comes with quality BaK-4 prisms and multi-coated optics to give amazing views. Suitable for users of all levels - use them on the boat, on the beach, or for birdwatching - the choices are endless! Did you know that a high powered pair of binoculars is the perfect portable alternative to a telescope? Skip the expensive, inconvenient telescope and spend your nights star gazing with the amazing saxon 15x70 Night Sky Binoculars. Ideal for astronomical viewing thanks to its 15x magnification, 70mm objective lens and long eye-relief feature, you can now stargaze wherever you are with these high powered binoculars. No matter what you’re trying to view, these saxon 10x50 Oceanfront Binoculars have you covered. They feature a weatherproof design that protects them from the elements and a rubber-armored body that defends against bumps. The included tripod adapter lets you set these binoculars up for steady, long-term viewing in any indoor or outdoor conditions. Adventure is waiting for you with the saxon 7x50 Focus Free Waterproof Binoculars. This pair of waterproof binoculars comes with multi-coated BAK-4 prism, designed to give you clear, sharp views. The yellow rubber armour finish is built with toughness in mind, perfect for you to bring outdoors on your camping hikes or on the boat out at sea. The saxon 8x42 Precision Hunting Binoculars gives you clear, up-close views of your target with its premium optics and quality build. Designed for outdoor use, these water-resistant binoculars comes with 8x magnification, 42mm objective lens, BaK-4 prism, multi-coated lens and rubber armour coating. Whether you're using them for hunting, sport or birdwatching, these pair of binoculars is sure to satisfy. 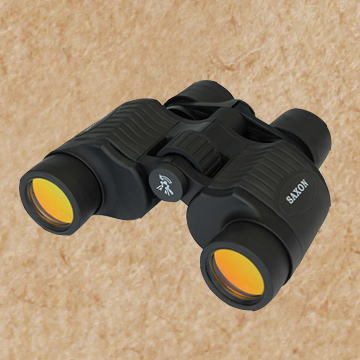 For a serious pair of binoculars, look no further than the saxon 8x42 Skylar Force Binoculars. With quality specs of BaK-4 prisms, fully multi-coated lens, this 8x magnification and 42mm objective lens pair of roof binoculars promises a stable and clear viewing experience. Waterproof and fogproof, the optics in these binoculars are protected by a rubber armouring and textured accents for a firm grip. Good body quality, lightweight with amazing optics - the saxon 10x42 Precision Hunting Binoculars are here. These robust, water-resistant binoculars come with 10x magnification, 42mm objective lens, BaK-4 prism, fully multi-coated lens and smooth central focusing system. Perfect for use in all weather conditions, you can expect crisp images at sporting events, holiday scenery, birds and wildlife with these binoculars. For a pair of binoculars that's great for both astronomy and long-distance terrestrial observation, you'll want the saxon 20x80 Night Sky Waterproof Binoculars. Images will come up bright, clear and crisp with these binoculars' large, oversized 80mm objective lens with anti-reflection coatings, BaK-4 prism and fully multi-coated lens. To start using your binoculars, simply mount them on a tripod using the built-in tripod mount and center stabiliser rod. Waterproof and fogproof, these lightweight, long-eye relief binoculars promises a comfortable viewing experience wherever you go. The saxon 8x56 Precision Hunting Binoculars are a great accessory to complement your hunting. Featuring a sturdy rubber-body build with 8x magnification, 56mm objective lens, BaK-4 prism and multi-coated lens, you'll see clear, high-contrast views of your target. These waterproof binoculars are lightweight and robust and can be easily be carried around your neck using the included strap. Take distance viewing to the next level when you use the saxon 8x30 Nauticus Marine Military Binoculars. Over land or at sea, these waterproof military-grade binoculars were built tough to stand up to more harsh environments. They include a range-finding reticle and feature an internal illuminated compass to keep you on track. These binoculars make a great gift for any outdoor enthusiast. The saxon 7x50 Nauticus Marine Binoculars is a quality pair of optics designed for use on the seas. Featuring a standard configuration of 7x magnification and 50mm objective lens, these water and fogproof binoculars comes with a compass and range finder for piloting, navigation and distance-measuring purposes. Lightweight enough to carry with you in the included case, or around your neck using the strap - there's no excuse not to grab these binoculars on your next boating trip! You'll be blown away by what you can see with these extra large aperture saxon 30x80 Night Sky Wateproof Binoculars﻿! These binoculars comes with 80mm objective lens with anti-reflection coatings, BaK-4 prism, fully multi-coated lens, built-in tripod mount and a center stabiliser rod to help you catch thousands of stars in your sight. Strong and durable, the rubber armouring provides a secure and comfortable grip, making these binoculars perfect to use both indoors and outdoors. Serious users will appreciate the maximum light transmission and optimal brightness offered by the saxon 7x50 Nauticus Marine Military Binoculars. Designed for nautical, marine and military use, these water and fogproof binoculars feature 7x magnification, 50mm objective lens, BaK-4 prism, fully multi-coated lens, illuminated compass and a built-in rangefinder. Use these sturdy but lightweight binoculars with ease in all weather conditions and terrain. Put the world around you right at your fingertips with the saxon 25x100 Night Sky Binoculars. With 25x magnification and a waterproof design, these binoculars are perfect for watching wildlife on land or the open water. The included backpack-style carrying case allows you to easily transport your binoculars everywhere you go. The saxon Pro-Caliber Giant Binoculars promises quality observations of both land and sky. This 45 degree angle powerful binoculars comes with 100mm fully-multi coated objectives, interchangeable eyepieces, solid U-Bear mount, heavy duty tripod and a metal carry case for storing your binoculars. Perfect for use indoors and outdoors, this centrepiece binoculars will get heads turning with its quality finish and hardwood tripod. Catch the best views of the dolphins swimming out at sea or the boats floating along the waters on a sunny day with the saxon Coin-Operated Binoculars. These customised, high-power binoculars features 25x magnification and 100mm objective lens, giving you clear, bright views. 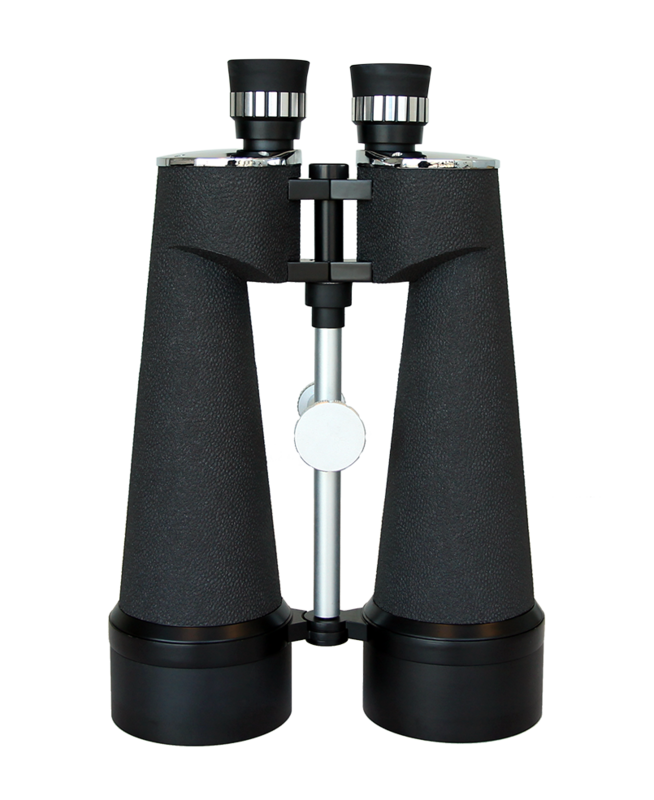 Designed for use in any weather, these made-to-order binoculars is a valuable attraction for both public and private use - contact us for a quote today!